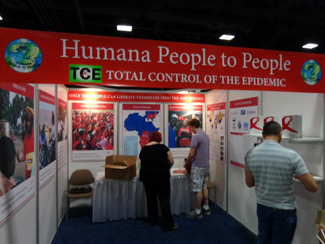 Humana People to People program will present the results of its Total Control of the Epidemic (TCE) model at the XIX International AIDS Conference, in Washington, from 22 to 27 July. 'Turning the tide together is the theme of the conference. On 24, Ib Hansen, TCE Program Director, will give the presentation "Scaling up TCE for House-to-House Testing HIV in Zambia," while the next day, Marie Lichtenberg, Director of International Partnership, will conduct the presentation the title 'TCE: a community driven response to the fight against AIDS. " 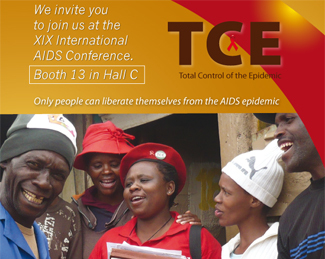 TCE is the program through which Humana People to People systematically fight against the HIV virus and AIDS disease. This is a program of community mobilization, with which it is intended that each individual take control in the fight against the disease. Therefore, changes in behavior are promoted and encouraged to use health services where they exist. TCE is based on the definition of a geographical area of ? ?100,000 people, which is organizing a training and mobilization campaign door to door for three years so that each person has the knowledge to control the virus. Each of the 50 officers involved field visits to 2,000 people, providing an individualized plan to reduce the disease. Federation members have 12 years working with this program in 10 African countries and in China and India, in collaboration with national and local health agencies. Since its launch, around 11.3 million people have been involved, two million people referred for HIV testing, more than 500,000 women educated and mobilized for PMTCT services and more than 600,000 volunteers have joined the project. TCE has the support of organizations such as Global Fund or PEPFAR / USAID, and companies like Johnson & Johnson, among others. The Intenational AIDS Conference is the world's largest meeting devoted to this disease. This is an excellent opportunity to assess where you are in the fight against HIV / AIDS, the latest scientific knowledge, share experiences and set the future path to follow.